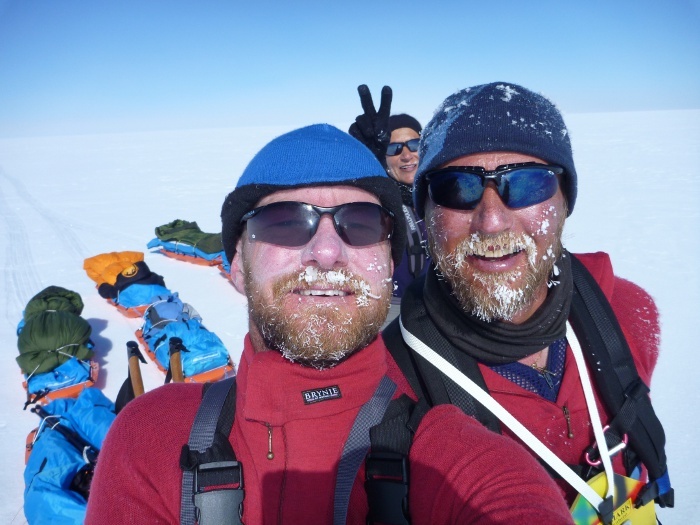 The guides, Petter Thorsen and Per Thore Hansen run an Arctic Training & Expedition School in Norway, and have vast experience travelling in the Polar regions. I have added a link to their website under "links". These people really put the Brynje kit to the test, wearing it non stop for 22 days crossing Greenland. To put it mildly, they loved it! They are firm believers in the mesh principles, combined with wool, and are now recommending it to all their clients who come to their Training camps.